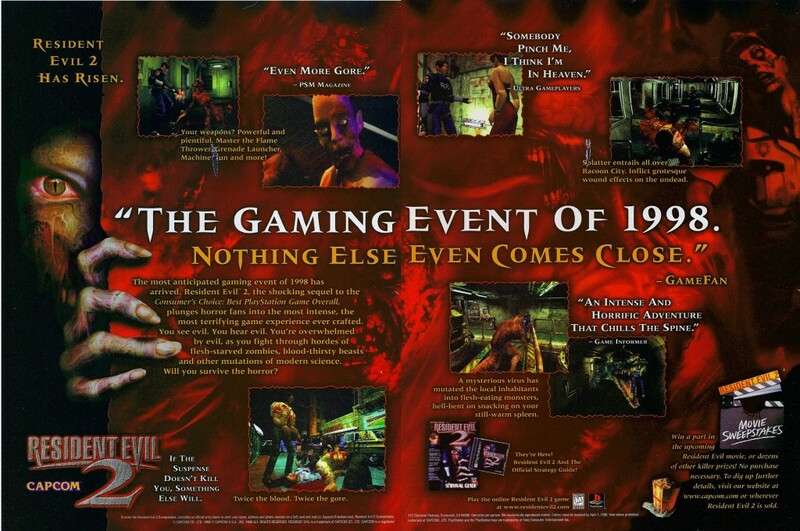 Out of the mansion and into the city – Resident Evil 2 had players exploring what was left of Raccoon City after a zombie infestation wiped out the vast majority of the city’s populace. One of many reasons why 1998 was the best year for video games. 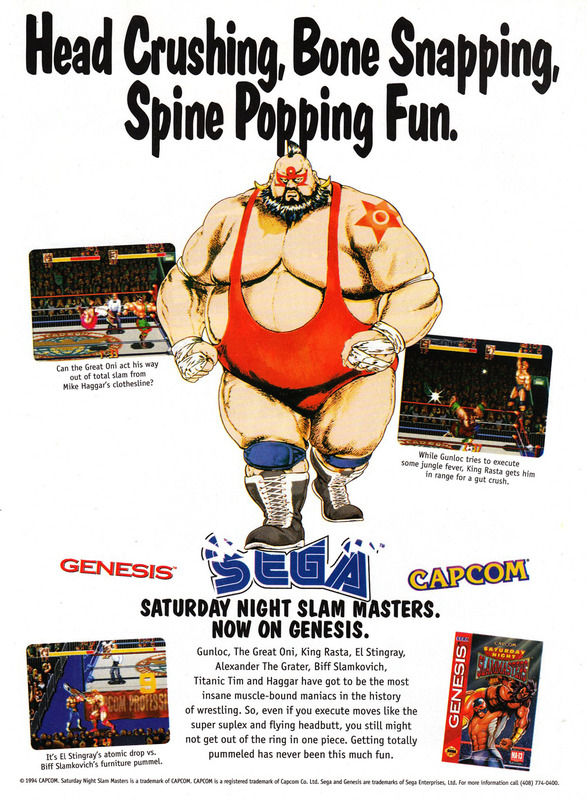 Saturday Night Slammasters (or Muscle Bomber in Japan) is a fighting/wrestling game developed by Capcom in 1993. 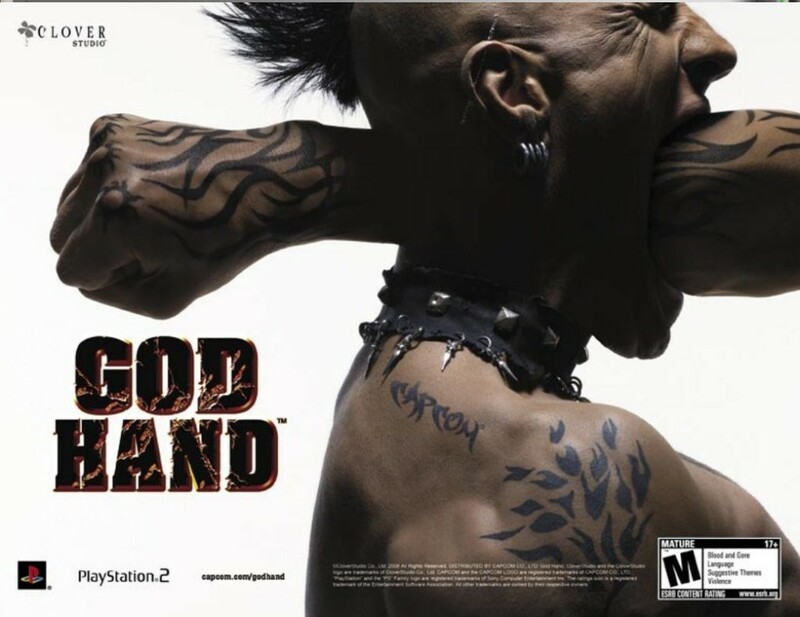 The game features characters designed by legendary Fist of the North Star artist Tetsuo Hara, as well as an appearance by Final Fight‘s Mike Haggar. 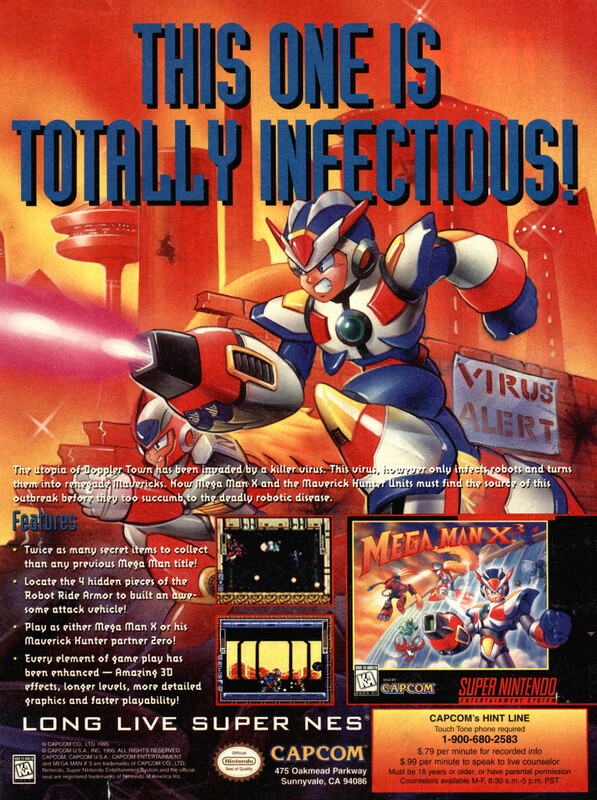 Mega Man X3 is one of the final titles to be released on the SNES (outside of Japan, anyway). Due to the limited release of and demand for the game, it has quickly become one of the most expensive SNES titles on the secondary market. 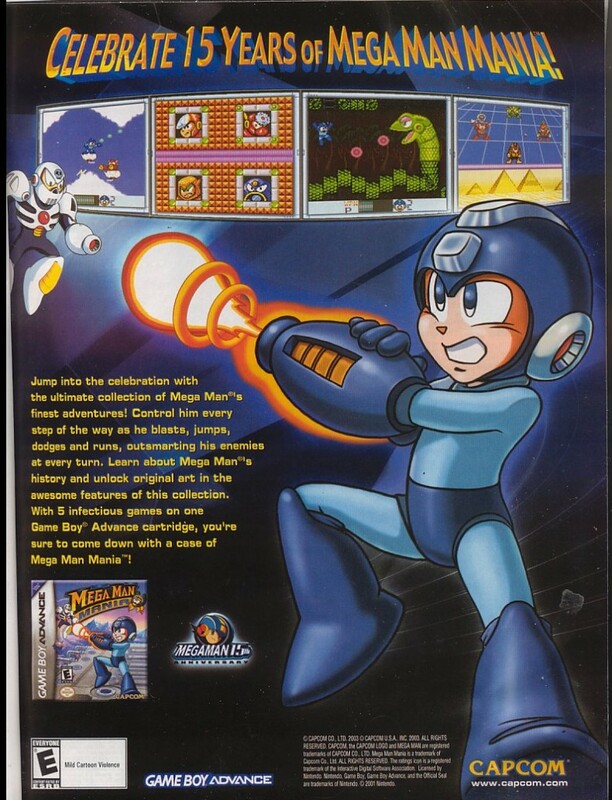 Mega Man Mania was a cancelled remake/compilation release of the five Game Boy Mega Man (or Rockman World) games for the Game Boy Advance. 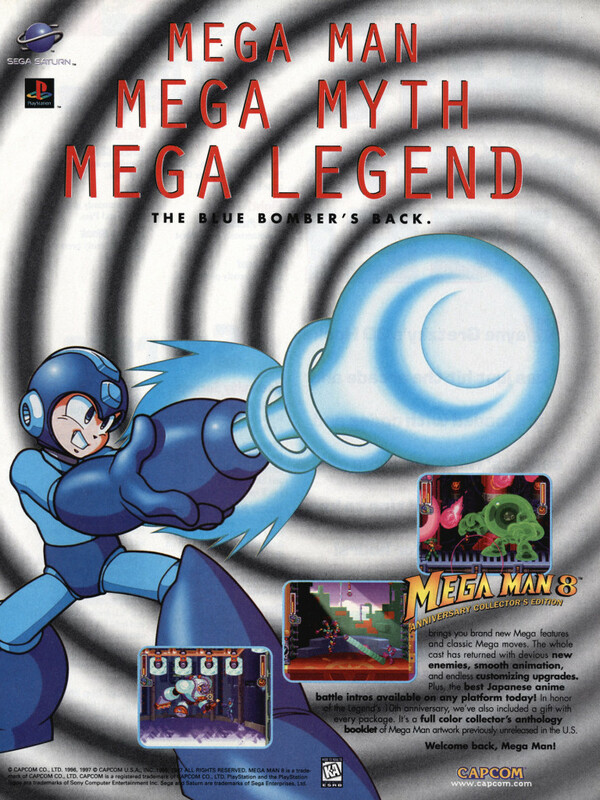 Planned for release at the same time as the Mega Man Anniversary Collection, the game was continuously delayed. It is widely believed that Capcom had lost the original source code for the games, and the release was cancelled due to the game not meeting internal quality standards. One of my favourite series of the seventh generation of consoles is Dead Rising. Every game in the series has featured a number of callbacks to other popular Capcom franchises, and the third game, launching with the Xbox One next week is no different. Dead Rising featured the classic Mega Man costume, complete with Mega Buster and laser sword. Dead Rising 2 featured Arthur from Ghosts’n Goblins‘ armor and underpants. Dead Rising 2: Off the Record had Protoman’s armor. Now in Dead Rising 3, you can run around in Mega Man X’s armor. Mega Man 8 is one of the more overlooked entries in the classic Mega Man series, probably due to the focus being on the X series at the time, being a 2D game in a 3D era, and having a pretty ghastly English dub. It has beautiful sprite work, though. There are a variety of Capcom and SNK crossovers out there, but the very first one came in the form of a card game, SNK vs. Capcom: Card Fighters Clash. The game is a collectible card game, with cards based on popular SNK and Capcom characters. 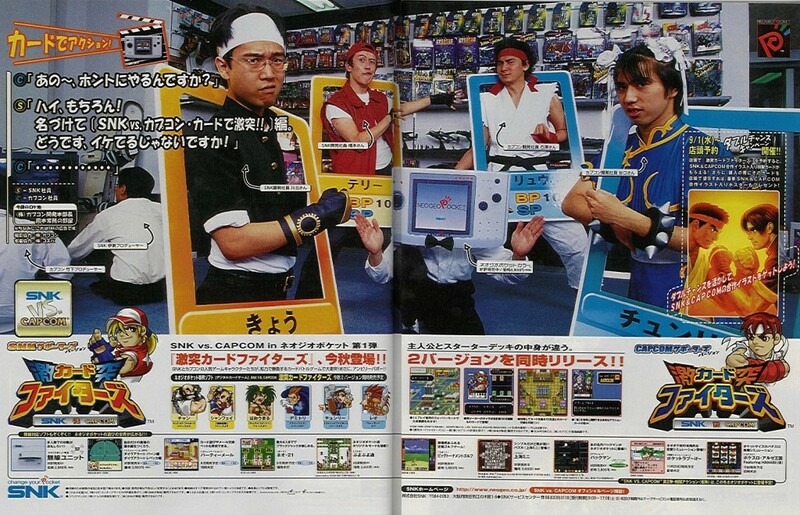 Two versions were available, one SNK and one Capcom, with different cards available in each. In further celebration of Street Fighter‘s 25th anniversary, Capcom have shared the 72 minute long documentary ‘I Am Street Fighter: 25 Years Of Inspiration’ on YouTube. Originally included in the Street Fighter 25th Anniversary Collector’s Set, the documentary is now available for all to see for free. Created by production studio AREA 5, the documentary takes a look at the creation and history of the Street Fighter series and its fans. You can watch the entire documentary above. Capcom have announed that the Super Nintendo ports of Street Fighter II: The World Warrior (Street Fighter II), Street Fighter II’ Turbo: Hyper Fighting (Street Fighter II Turbo) and Super Street Fighter II: The New Challengers (Super Street Fighter II) are headed to the Wii U Virtual Console this coming Thursday. Players in North America buying one of the games (US$7.99 each) can purchase either or both of the others at half price, while players in Europe (and hopefully Australia) can buy two of the games (£5.49 each) and get the third Street Fighter II game for free. 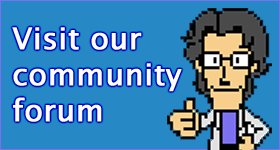 All three titles come with Miiverse support. That’s a whole lot of Street Fighter II to keep you busy this weekend.